Get ready to shop! It's time for My Creative Time's "Favorite Stamp of the Month," and this month Emma has TWO great stamp sets on sale! 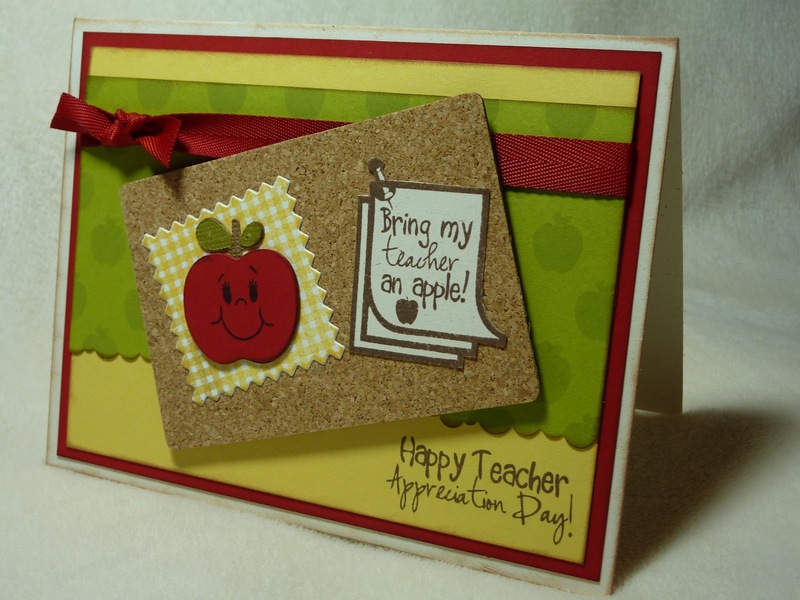 The first, which I used on the card above, is My Teacher Rocks, a must have with Teacher Appreciation Day just around the corner! Click here to see all of the details on how I made this card. The second set is one that I love using on layouts. It's called Camera Shy, and it's where I got the CUTE "Very Handsome" sentiment that I used on this layout. Click here for more pics and details on this layout. Ugh! Blogger is not letting me upload the picture of Camera Shy for some reason, but click here to see the full set. Now, if you have either of these fun stamp sets, be sure to join our linky party showcasing them at My Creative Time. Can't wait to see your creations!!! And if you don't have them, be sure to head over to the My Creative Time store to get your sets! 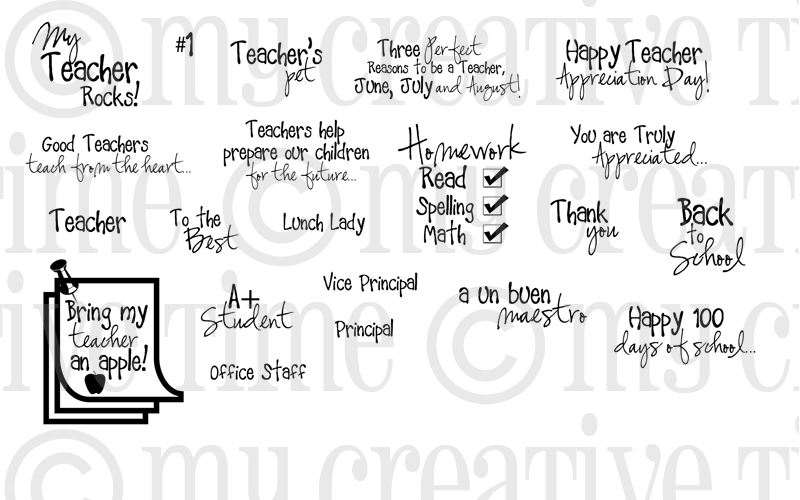 What a great set of school sentiment stamps! Lots of fun with this collection! The layout is wonderful! Katie ~ The card is just PERFECTION! I used cork too! Actually you are the one who inspried me to try it! LOL! Of course I LOVE the layout! Look how stinking CUTE your son is/was! So glad to see you getting back to blog land! These projects are adorable Katie! Love that cork paper...must get some! And look at cute little Eric! Boy has the time flown! Can't wait until you get back to crafting again! Your projects are just amazing. I so look forward to your posts. You did a terrific job with these. That layout is wonderful. This is one page it will be fun to look at! What a wonderful layout.. Yes, he is so handsome. Cute card and layout...The cork paper is perfect. Get well soon! This card is so cute. Just pinned it.